Klaus Haapaniemi’s enchanting Running Hare cushion cover features a beautiful rabbit among detailed flora. The pattern has been hand printed on both sides of the cover, which is made of 100% linen. The cushion cover has a hidden zipper and white piping. 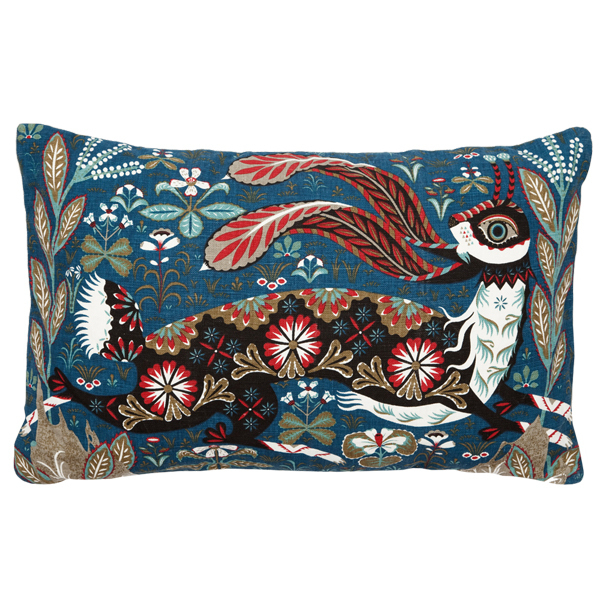 Running Hare belongs to Haapaniemi’s popular home collection that takes its inspiration from nature, Finnish folklore and traditional decorative arts. The Finnish designer Klaus Haapaniemi (b. 1970) has been defined as one of the most important rising stars in illustration and design. After graduating as a graphic designer from the Lahti Institute of Design, Finland, Klaus Haapaniemi lived in Italy where he worked as Creative Director of the Italian fashion house Bantam and now lives in London. Known for his illustrations, advertising art and clothing fabric prints, Haapaniemi has designed garment prints for famous international fashion brands such as Diesel, Levis, Dolce & Gabbana and Cacharel, published a book entitled ‘Giants’ together with the Finnish writer Rosa Liksom and produced illustrations for the Observer newspaper. In Finland, Klaus Haapaniemi has designed patterns for Marimekko and illustrated the enormously popular dishware collections Taika and Satumetsä for Iittala. Klaus Haapaniemi was awarded as Graphic Designer of the Year 2008. 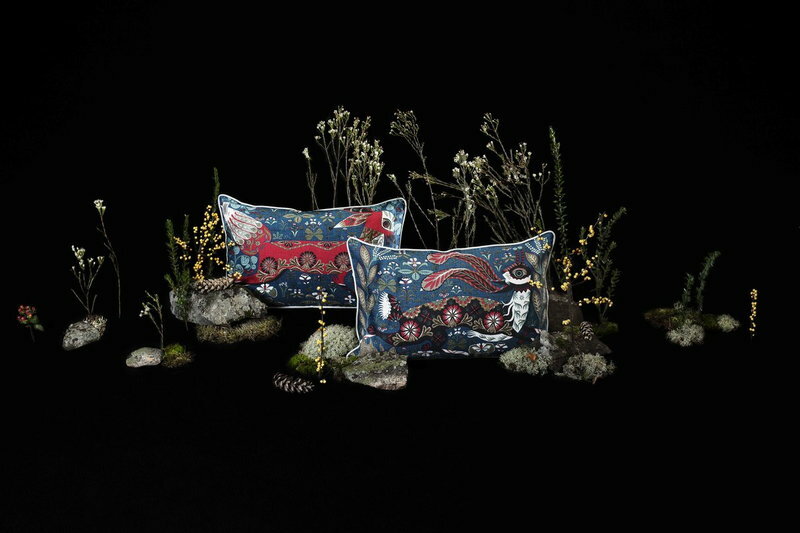 In November 2010, together with the Art Director and concept designer Mia Wallenius, he launched a new home and fashion textiles brand called Klaus Haapaniemi, under which he has designed his first signature collection which includes textile products in pure and luxurious materials combining traditional weaving techniques with modern prints and sophisticated colours.